What is so vital for the summertime in Los Angeles? A high-performance air conditioner is of the high importance. But you may wonder if there is any way to improve the current condition of your system. Luckily, there are upgrades available for air conditioning system. We provide some of them below. If you need to improve the performance and efficiency of your air conditioning unit without replacing the entire system the best solution is a new, programmable thermostat. Some homeowners have manual thermostats often controlled with dials or sliders. It’s difficult to read them and may prevent you from finding the proper temperature. This is problematic because a home that is just one or two degrees cooler than it needs to be can still significantly impact energy bills. A digital thermostat is easier to read and, when placed in the proper location, is usually accurate. Many of these thermostats also allow you to set the temperature in advance. You can choose to set the air conditioner to turn on 30 minutes before you arrive for instance. This way, you don’t waste money cooling an empty home, but you are still comfortable when you get there. If you have different temperature preferences, you can control your zone independently of the others in your apartment. With zone control, a set of dampers is installed in various parts of the ductwork. Each damper is wired to its own thermostat, and each thermostat controls a different area of the home. In this way you can also save you money. If no one uses one area of the home throughout the day, you may choose to shut off the air in this zone to keep from cooling an unused area of the home. The best way to upgrade your old air conditioning system is to purchase a new system. A new air conditioner may be more efficient than your older one, so the savings every month are likely to make up for the cost. You may even choose to look into “green” alternatives to conventional air conditioning, such as geothermal cooling. 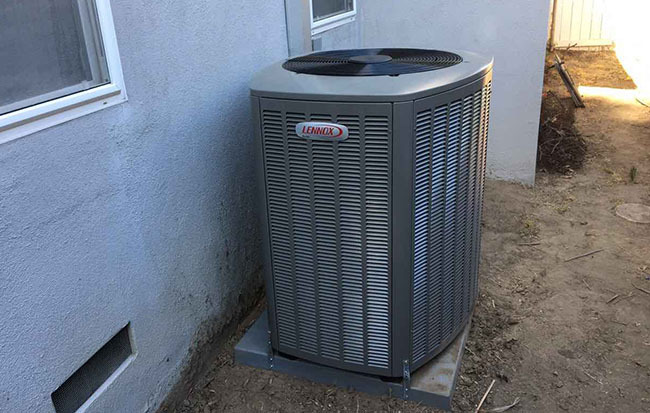 In case you need more detailed information or you decided to upgrade your air conditioning system or one of its parts, call Jupiter Air Conditioning and Heating in Los Angeles. Our Experts are here to provide any information you need or provide high quality service.